Sometimes music can sound so easy, you wonder why you didn’t think of it yourself. I think everyone goes through that and it is a frustrating feeling. How exactly do people write these one and two chord songs and get away with it? There is no answer for this, but if there was an album that personified this kind of “simple” but great rock ‘n roll, Modern Lovers is it. Johanthan Richman (vocals, guitar), Jerry Harrison (keyboards, later in Talking Heads), John Felice (guitars), Ernie Brooks (bass), David Robinson (drums), and producers Kim Fowley and John Cale (one of his first post-Velvet Underground triumphs) made one album as this band and it gets the point across better than any other rock album ever made. “Roadrunner”, “Pablo Picasso”, “Modern World”, these are rock songs that are unique in their minimalism but also superbly executed. The album has nine songs that range from rockers to ballads but are always performed in a kind of sloppy style that is unmistakable and brand new to the ear. 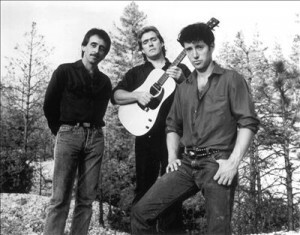 For me, this kind of music that combines humorous lyrics and chugging chords is perfect in every respect, and when the band make serious points about what they believe in – old fashioned values in “Old World”, straight and clean living in “She Cracked”, meaningful relationships in “Someone I Care About” – it only enhances the mood. Modern Lovers is an aquired taste for sure, and it is not the first album to get into for neophytes; an understanding of their influences (Velvet Underground’s sound and Buddy Holly’s light attitude) is good to have. But still, the record stands as one of the early blasts of “punk” music, lo-fi pop, and consistent albums of music ever captured on an album. This is the kind of music that stands above all others to me: defiant, anthemic, and totally enjoyable. I can’t recommend this album enough. Sidenote: What are considered bonus tracks but are on many editions of the cd version of this record, the three songs “I’m Straight”, “Dignified and Old”, and “Government Center”, are excellent appendixes to the record. 12 songs of this caliber is simply better than 9, making a 45 minute complete listening experience. What is also mind blowing is that this was actually recorded 3 years prior to its release in 1973. Sidenote 2: Jonathan Richman’s subsequent albums were all released under his own name, and it can be confusing, because the first solo record is called Jonathan Richman & The Modern Lovers. These albums tend to be more acoustic and delicate in nature.